We, the undersigned, support all efforts to stop corruption, stamp out black money and counterfeit currency, and act against funding that helps creates unrest in the country be it through terrorism or creating divisions and hatred among people. 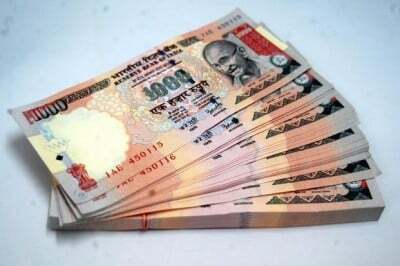 If it is the Government’s case that high value denomination currency is used to hoard black money, then the decision to reissue new Rs 500 and Rs 1000 notes does not make sense. Issuing even higher value Rs 2000 note is completely inexplicable and puzzling. Black money is generated through evasion of taxes on income from lawful activities and money generated from illegal activities. In the absence of steps to curb the generation of black money, demonetization is a futile exercise, as it proved to be in 1978. In the last 5 years, IT raids have found that only 5-6% of black money is kept in hard cash. Moreover, those who have amassed sizable black money are equipped to find ways around demonetization by converting their existing cash to bullion, gold jewellery, real estate and foreign currencies through brokers and middle-men. In fact, organized middle-men and touts have already emerged to convert black money into white for a commission. Experts including a former RBI Governor and the current Chief Economist of the World Bank have spoken against demonetization. Only about 30% of the Indian population has access to the banking system as per data compiled by the banking division of the finance ministry. Moreover, the distribution of banks is highly skewed with a third of all bank branches in only 60 Tier 1 and Tier 2 cities/towns. Consequently, people in rural India who often also suffer from inadequate information have become the worst victims of demonetisation. Reports have started coming in of digital payment systems unable to keep up with the new volume of transactions with credit and debit card servers also going down. All currency has value only because of the inherent trust in the banking system. Summary demonetization has shaken this trust and will likely impact India’s economy well beyond the initial and widespread chaos. Rs 1.14 lakh crore of bad debts has been waived by Government banks in the last 3 years. At the same time, loans worth lakhs of crores of rupees are still outstanding. Why has the Government not made public the names of the beneficiaries of the waiver and the names of the big defaulters, both individuals and corporations? A key campaign promise was to bring back black money stashed abroad and deposit Rs 15 lakh each from the proceeds in the account of every citizen. Why has the Government not made public the names held by it of Indian account holders in offshore banks? All conversions can be done only after filling a form and attaching ID proof. This has led to major harassment of poor and illiterate people and those who do not have an identity card. We are all concerned about the use of money power in elections. Why hasn’t the Government proposed state funding of elections? Why is the BJP resolutely against transparency in its own funding by refusing to come under the Right to Information Act?